We are the Grand Rapids extension of the North American Beikoku Shido-kan Association directed by Hanshi (Grand Master) Seikichi Iha in Lansing, MI. We love teaching karate, but none of our instructors do it for a living. Unlike more commercialized schools that are focused on making money, we prefer to invest the time and ensure you learn to apply effective techniques. Okinawan karate, from its origins, was born out of a necessity to defend against life-threatening danger. A mature attitude of cooperation and partnership is of the utmost importance, along with building friendships and strength of character. 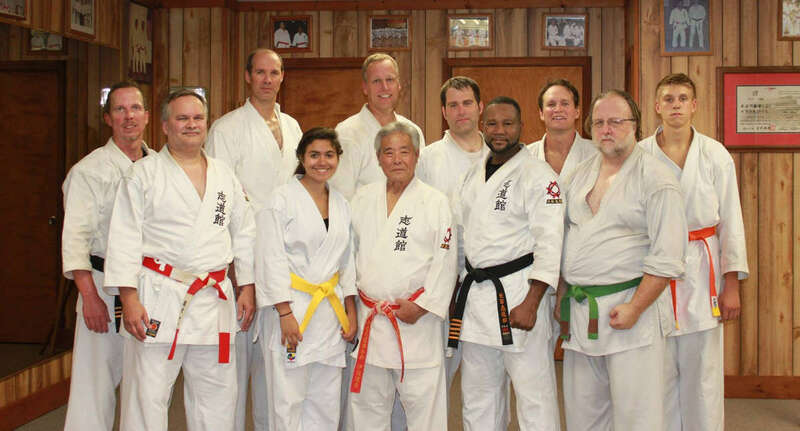 As students of Sensei Iha, our instructors each have at least 25 years experience practicing and teaching Okinawan Karate. As a newcomer, you will receive one-on-one private instruction as part of every class. Under Master Seikichi Iha, we are one of the few schools in the country to maintain unbroken lineage. You will learn authentic techniques for true self defense, not for winning points in a tournament.